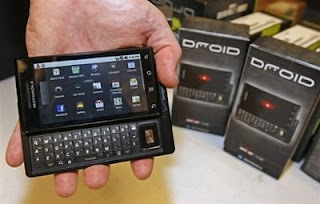 My Life and Activities here in KSA..: Droid by Motorola.. The web is richer. Photos are sharper. Videos pop. It has the most advanced browser and Android 2.0 software with a blazing-fast processor and 3G speed for faster search. It has the world's thinnest QWERTY slider at 13.7mm. It can help you navigate turn-by-turn. It has a 5MP camera with a flash, plus loads of great camera features and a DVD-quality recorder to capture all the richer, bigger, wider experiences you're going to have. It's the phone with the "Hi" IQ. Pacquiao wins for his 7th World Title..